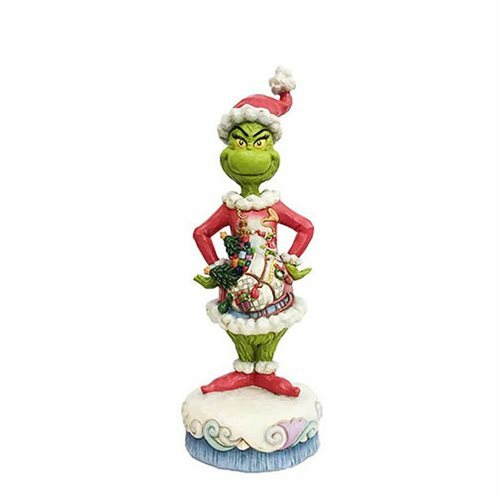 The Grinch shows his festive side in this wonderfully detailed and vividly colored Dr. Seuss The Grinch Grinch with Santa Scene Statue by Jim Shore. Based on How the Grinch Stole Christmas!, it boasts a scene featuring a sleigh and a bag overstuff with presents. The Santa-dressed Grinch is made of stone resin and stands roughly 10 4/5-inches tall.